In his career, the off-spinner has dismissed 15 batsmen five or more times in Test matches and five of them are Indians. Back in 2014 at the Adelaide Oval, India were chasing 364. 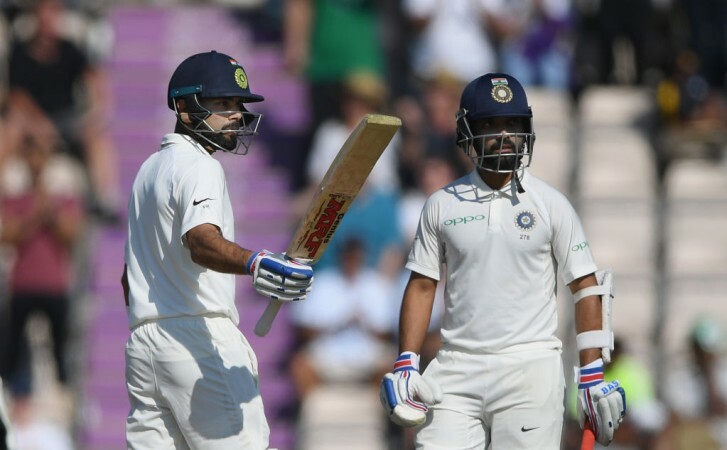 Virat Kohli and Murali Vijay were in the midst of a healthy stand and India looked to be on course to breach the target. The pitch had assistance for the spinners and Nathan Lyon looked threatening. He took care of Murali Vijay on 99 and this started a collapse. The off-spinner finished with 7 wickets in the innings as he dismantled the rest of the batting order. India lost the match by 48 runs. Lyon, who has only grown leaps and bounds since then, has proven to be India's tormentor. Even in the series which was played in India in 2016-17, he caused a lot of headaches for the Indian batting order. In his career, the off-spinner has dismissed 15 batsmen five or more times in Test matches and five of them are Indians. Three of these are India's nucleus in Test cricket - Cheteshwar Pujara seven times, Ajinkya Rahane six times and captain Virat Kohli on five occasions. Lyon loves bowling in Australian conditions and his record against India is only second to the West Indies. Against India, he averages 2.6 wickets per innings. He started his career as a curator at the Adelaide Oval who was also an occasion net bowler and thus, it is not surprising that he loves bowling at the venue. He has picked up 37 wickets from just seven matches, which is also the fifth highest at the venue and has never gone without a wicket in a Test. "We both started our Test careers at the same time so obviously mutual admiration is there," Ashwin said of Lyon. "What can I learn [from Lyon]? Probably just drop the ball in the right spots and probably as the series goes on look forward to a good competition," he further added. "Look, it's not that Lyon will bowl to an Indian line-up that includes VVS Laxman and Sachin Tendulkar. Those batsmen used their feet and thus changed the length. No one tries to change the length — not just India, all the teams' batsmen," former Australia off-spinner Ashley Mallet has already made his prediction about the series.